May 20, 6:00pm: RSVP The Homepolish Studio at BoConcept Chelsea here. 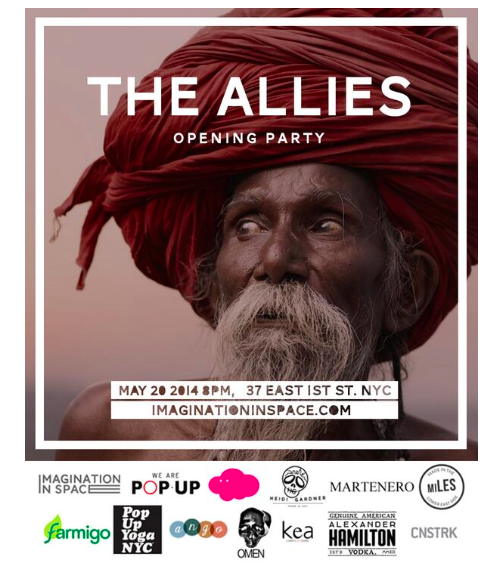 May 20th, 8pm: RSVP for The Allies OpeningParty at theallies@omenpr.com. May 23, 6pm – 9pm, Music, Raffles, Performances, Hors D’oerveres, Pizza, Open Vodka and Wine Bar! 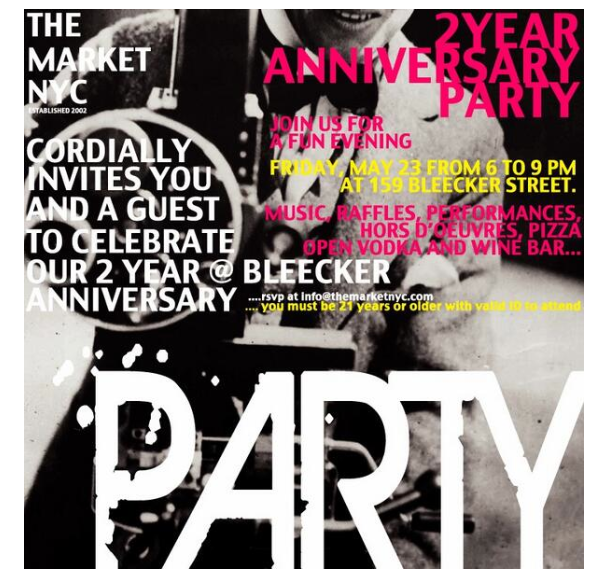 RSVP at info@themarketnyc.com.